No matter where you may happen to delve into the research, whether it is clicking across Google searches through the hundreds of coins, coin collecting, or coin auction and dealer sites, there seems to be no definitive source that can indicate with any type of accuracy the number of people worldwide who happen to think coin collecting is about the best hobby there is. Some unverifiable estimates, or probably just good guesses, put the number of coin collectors and hobbyists in the United States alone at somewhere between 140 and 150 million. This leaves one to only imagine what the total population of coin collectors would be across the entire planet. Whatever it is, it is mind-blowing. Naturally, all these coin enthusiasts like to talk about the one thing that drives their passion the most – coins – and they like to do it with those who happen to share that passion with equal measure. And probably since the dawn of civilization, those people who are drawn to a particular hobby tend to get together with anyone having like-minded interests, and they form guilds, groups, clubs, societies, and associations to share their knowledge, expertise, and experiences. Coin collecting is no different, and somewhere in its origins there might be records of clubs being formed as far back as a few millennia, when the concept of minting coins first began. Across the ages, coin collecting grew from a mere hobby into a form of art, as collections of stunning and vastly historical proportions measured the times and tides of civilization itself. It was all realized through the process of mankind’s commercial endeavors, through which the means and methods of wealth and prosperity of the nations of the world became established – coins. And from its ancient beginnings, these collectors became known as numismatists, which is now a term that is applied to collectors, coin dealers and scholars who all share one thing in common – the study of coins. 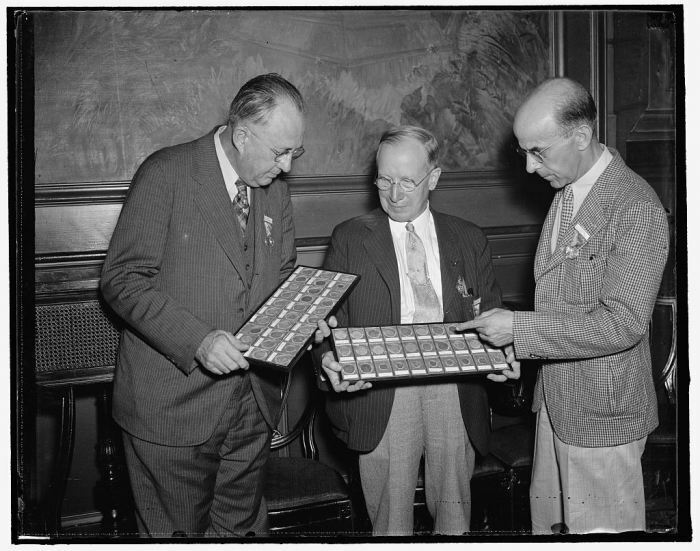 Numismatists are categorized into three types, or groups. The first is composed of individuals who derive their pleasure from the simple collecting and ownership of coins, and study these coins as private amateur scholars. The second group are the coin dealers, and who are sometimes referred to as professional numismatists. Their primary interests involve authenticating or grading coins for commercial purposes. The buying and selling of coin collections by these numismatists, acting in the role of professional dealers, advances the fascinating study of money. These expert numismatists are then consulted by historians, museum curators, and archaeologists. The third category are scholar numismatists who devote their time and energy working in public collections, universities or as independent scholars acquiring knowledge about coins, their systems, their economic influence, and their historical context. Modern numismatics revolves around the study of the coinage of the mid-1600s to the present century, the age of machine-struck coins. The present era of numismatics serves the requirements of collectors more than historians, and it is often profitably pursued by amateur enthusiasts more than by specialized academics. The focus of modern numismatics deals with the research of production and use of these coins or paper currencies from a historical reference, using mintage records to determine the rarity of the coins or currency they study. This seemingly endless fascination with coins and currency has produced an immense pool of resources, compiling incredibly valuable information that stretches across the globe. And what better method could there be to transfer that information to the growing tide of coin collectors and hobbyists of today, than through the ongoing efforts of the coin collecting associations and societies dedicated to advancing this age-old knowledge and traditions for the coin-loving enthusiasts of tomorrow. Here are a few of the internationally affiliated coin associations and societies active in the coin world today. The American Numismatic Association was founded in 1891 by Dr. George F. Heath in Chicago, Illinois. The ANA was formed to advance the knowledge of numismatics along educational, historical and scientific lines, as well as enhance interest in the hobby. The ANA national headquarters and museum is located in Colorado Springs, Colorado. It claims a membership of over 32,000. 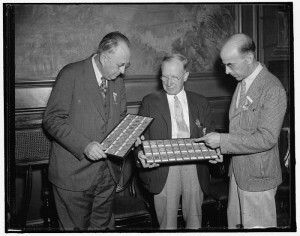 In 1912 the association received a Federal Charter by the United States Congress for its work in the field of numismatics. The Royal Canadian Numismatic Association was founded in 1950. It is a nonprofit association for coin collectors and other people interested in Canadian numismatics. It has members throughout Canada and in other countries. It is affiliated with the Numismatic Educational Services Association (NESA), a Canadian educational and charitable organization, which provides funding for some of the CNA’s educational seminars and publications. The American Israel Numismatic Association is a non-sectarian cultural and educational organization founded by Morris Bram in 1967, and dedicated to the study and collection of Israel’s coinage, past and present, and all aspects of Judaic numismatics. It is a democratically organized, membership oriented group, chartered as a non-profit association. The primary purpose is the development of publications, programs, meetings and other activities which will bring news, history, social and related background to the study and collection of Judaic numismatics, and the advancement of the hobby. The International Association of Professional Numismatists (or IAPN), founded in 1951, is a non-profit organization of the leading international numismatic firms. The objects of the Association are the development of a healthy and prosperous numismatic trade conducted according to the highest standards of business ethics and commercial practice, and the encouragement of scientific research and the propagation of numismatics, and the creation of lasting and friendly relations amongst professional numismatists throughout the world. The British Numismatic Society is the leading organization for the study of coins, medals, jettons and paper money of the British Isles, the Commonwealth and other territories that have been subject to British rule. Although based in the United Kingdom, it has an international membership, drawn from a wide range of academic and museum professionals, amateur specialists, collectors and dealers. The Professional Currency Dealer Association was founded in 1985. It counts among its members over 100 of the world’s leading specialists in currency, stocks and bonds, fiscal documents, and related paper items. The goals of the organization are to promote, stimulate and advance the profession of dealing in all forms of currency and related items; to advance the study of paper money; and to promote honest, knowledgeable and ethical dealing between members and the public. The Royal Numismatic Society is the UK’s foremost society for numismatics – the study of coins, medals and related currency items. Founded in 1836 as The Numismatic Society of London, today’s Society is international in subject and membership. Its lectures and publications deal with Classical, Asian, Medieval and Modern coins, paper money, tokens and medals, and Fellows include scholars and enthusiasts from around the world.